This year dementia action week is about getting everyone to take an action. Every Action Counts! From something small to as big as you can manage; you could help fundraise or visit someone living with dementia, become a Dementia Friend or commit your organisation to become dementia friendly and sign up to the Dementia Action Alliance. Throughout the week the Dementia Action Alliance will be creating even more Dementia Friends in Reading by running Dementia Friends sessions across Reading's libraries. By becoming a friend you commit to an action and a set of principles to change perceptions around dementia. 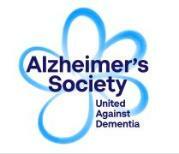 The Dementia Friends programme is an Alzheimer’s Society initiative to change people’s perceptions around dementia. The session is free to all, you can book your place on line https://www.dementiafriends.org.uk/WEBSession#.WtBoi-mouS4 or just pop along on the day. Each session only takes about an hour, they are interactive, informative and enlightening. The Dementia Action Alliance is a group of dedicated volunteers who aim to bring about change for people living with dementia in Reading. We believe that everyone living with dementia can live well with the support of their community, who take the time to understand what it really means to be a dementia friend or a dementia friendly organisation.